We offer help in applying for the Residence Permit in Paraguay, and it may be shortly converted into citizenship. Paraguay has one of the best opportunities for Personal Tax optimisation as its residents do not pay tax on the worldwide income. The Passport of Paraguay is ranked high and gives visa free entry to all Europe. You can get residence Permit in two arrivals, and in 4-5 years you may reclaim your Nationality. Currently there are no discrimination of passports and any one can apply. Paraguay is a bilingual nation: Guaraní is its first language and Spanish, its second. It is also one of few South-American countries to retain its native tongue as an official language. Interesting facts about Paraguay. 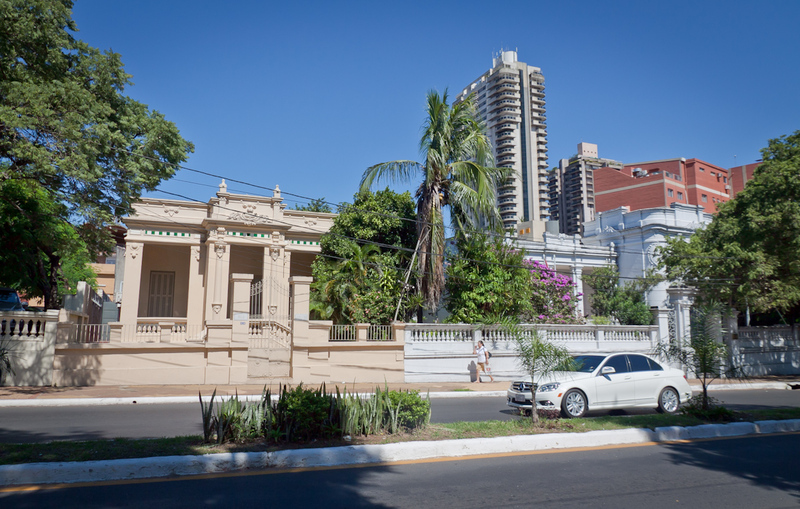 Paraguay was once declared an uneventful country with huge disparity in wealth. It is slowly recovering from a series of dictatorial rules and slowly integrating itself to the global economy. Paraguay is also known as the Heart of America or «Corazón de América» because of its location at the centre of the South America continent. Most of the electricity produced in Paraguay comes from Itaipu Dam on the Parana River. It is close to the border with Brazil and is owned by both Paraguay and Brazil. The country is bisected into two by the Paraguay River and is also the second largest river in South America after Amazon. The literacy rate of Paraguay is higher than The United States with 94% literacy rate for citizens of 15 years and above as compared to 86% in the US. J. O’Rourke once described Paraguay as «Nowhere and famous for nothing» but was so enamored by the country that he moved into the country. More than 80% of the citizens of the country are mestizos or people with mixed Spanish and Native-American ancestry. Long before the arrival of the Spanish in 1600s, the country was inhabited by Guarana people. Today 93% off the nation’s population is composed off mestizos, children of Spanish men and Guarana women making Paraguay’s population the most homogenous in South America. It is one of the few South American nations which have retained its native language Guaraní as its first language. Guaraní is a very poetic language and many of its words are like music or akin to sounds of animals and the natural environment. It is classified as an onomatopoeic language. Its second language is Spanish. It is one of the few nations which triple frontiers, a tri-border along the intersection of Paraguay, Argentina and Brazil. It has the distinction of having the first railway line in South America and was constructed by British engineers from 1858-1861. Dueling is still legal as long as both parties are blood donors. The country got its independence from Spain in 1811 but was immediately taken over by three dictators in quick succession. The last dictator Francisco López, initiated a bloody war, the War of Triple Alliance which included Uruguay, Brazil and Argentina. The nation lost more than half of its male population. It also lost its Iguassu Falls to Brazil and is counted as one of Brazil’s (and the world’s) top tourist attractions. It again experienced three decades of dictatorship in the 20 century which ended in 1989 with the ousting of Alfredo Stroessner, who was finally ousted in 1989. It is one of the two landlocked countries in South America, the other is Bolivia. It does not have a sea coast but it does have one of the largest navies for any landlocked country with a naval aviation corp., a river defense corps and a coast guard. Paraguay is an economy with one of the most disparate distribution of its wealth with 80% of the land held by 2.5% of the population and only 161 people controlling 90 percent of the wealth. The country is known for its raw and unadulterated natural beauty and very friendly population. However few tourists visit this country in South America. Guarani language is spoken by almost all the population regardless of the social status and is one of the unifying factors of the country. The major part of northwest Paraguay is made up of a vast and uninhabited plain called Chaco and it was a bone of contention between Paraguay and Bolivia in the war of 1930’s. The war claimed the lives of 100,000 people. Hydro-electricity accounts for 99.9% of the electricity produced by the country and 75% of that coming from the Itaipu Dam. Itaipu Dam has been built on the Paraná River and the world’s second-largest hydroelectric power plant second only to the ‘Three Gorges Dam’ and was built in 1984. It is run by both Brazil and Paraguay. The country is famous for its lacework Nanduti meaning “spider web”. It is made with beautiful lace inn intricate circular designs and is found in a rainbow of colors. Other traditional handicrafts include embroidered cloth, black clay work and ceramics, and gorgeous silver jewelry in filigree designs. The main meal consumed at noon is usually composed of corn and cassava, a starchy root vegetable. The country has been run for a major part of its existence by dictators. No wonder numerous wanted Nazi criminals who afraid of the consequences of their inhuman deeds fled and lived in incognito in Paraguay. Cassava or mandioca is cooked with cheese to make thick bread known as Chipa. The Paraguayan soup or the Bori bori soup is mostly composed of Corn. It is home to many endangered animals like jaguar, harpy eagle, red parrot, giant armadillo and anteater (jurumi). Football is the most popular sports of Paraguay but other games like soccer, rugby, tennis and volleyball is also popular. It is the only nation which has a national flag with different emblems on each side. The one in the front is the country’s Coat of Arm and on the back is the Treasury Seal along with the Motto, ‘Paz y Justica’ (Peace and Justice). Paraguay’s flag is one of the world’s oldest national flags. It is the home of the biggest rodent in the world, Capybara, which is a giant guinea pig.